Paralysis is the loss of the function of a muscle or, more commonly, a group of muscles. Along with the inability to move the muscles, a patient may also lose feeling in the affected area. The loss of bodily functions frequently accompanies paralysis. Paralysis is not actually the result of injury to the muscles themselves as a general rule, but rather the result of damage to the nerves or to the spinal cord that control the muscles. The spinal cord runs from the brain down the center of the back and is composed of nerves that transmit messages to and from the brain. Collectively known as the central nervous system, it is what allows people to walk, pick things up, feel things and basically do everything people do on a daily basis. When the spinal cord or the nerves running from the spinal cord are damaged, injured people can lose those abilities. When the damage is severe enough, it leads to paralysis. Monoplegia – Where one limb is paralyzed. Hemiplegia – Where the arm and leg on one side of the body are paralyzed. Paraplegia – Where both legs and sometimes the pelvic area and some of the lower body are paralyzed. Quadriplegia – Where both the arms and legs are paralyzed (also known as tetraplegia). 1. Spinal cord injury — An injury to the neck or back can damage the spinal cord, resulting in paralysis. As a general rule, the higher up the spine is injured, the more serious the paralysis may be. A broken neck, for instance, can cause quadriplegia, whereas an injury to the lower part of the spine is more likely to cause paraplegia. 2. Head injury – A serious head injury, often referred to as a traumatic brain injury (TBI), can cause paralysis. According to the Centers for Disease Control and Prevention (CDC), there are 1.7 million cases of TBI across the United States each year. A TBI can cause paralysis if the area of the brain that controls certain muscles is bumped, bruised, pierced or otherwise injured. When the left side of the brain is injured, it may cause paralysis on the right side of the body, whereas an injury to the right side of the brain can cause paralysis on the left side of the body. 3. Stroke – A stroke is caused by an interruption of the blood supply to the brain. The brain requires oxygen and nutrients to function properly. Blood flow may be reduced because of a narrowing or blockage in the arteries. A blood clot, for example, that makes its way up toward the brain and then becomes lodged in the artery and blocks the blood flow can cause a stroke. 4. Multiple sclerosis – Multiple sclerosis (MS) is a disease that causes the body’s immune system to attack the nerve fibers in the spinal cord. The immune system mistakenly attacks a substance called myelin, which surrounds nerve fibers and helps with the transmission of nerve signals. Despite monumental advances in the areas of science and medicine over the last century, there remains no cure for permanent paralysis. Immediate medical treatment when a stroke, TBI or spinal cord injury is suspected is critical to try to prevent further damage. If, however, the damage has already led to paralysis, it cannot be completely cured. Limiting degeneration — Immediately following an accident, doctors will work to reduce any inflammation. This is critical in preventing further degeneration of the spinal cord. Mobility aids – Wheelchairs as well as a variety of braces can be used to allow a paralysis victim to continue to be mobile. Assistive technology – Technology has come a long way toward assisting paralysis victims with living independent lives. Environmental control units allow for voice activation of everything from a television to an entire home. Specially adapted computers can also help a paralysis victim. Pain management– Although nerve damage may cause paralysis, a victim will frequently still live with a significant amount of pain. Pain can be treated with medications designed specifically for neuropathic pain, as well as with narcotic pain medications. Muscle relaxants may also be used to reduce the muscles spasms that often accompany paralysis. Regeneration – Much is being done by scientific researchers in the area of cell regrowth and regeneration. Although most treatments are only at the experimental stage, doctors are hopeful that one day it may be possible to regrow damaged nerves and cells. Surgery – Reconstructive surgery is also advancing at an astounding rate. In some cases, it may be possible to reconstruct damaged nerves and provide a victim with some, if not all, ability to move the affected muscles. The financial cost of treating paralysis can be devastating. According to the Christopher and Dana Reeve Foundation, the cost of treating paralysis in the first year costs, on average, between $330,000 and $1 million, depending on the severity of the paralysis. Each subsequent year can cost approximately $40,000 to $170,000. The lifetime cost of treating a quadriplegic is estimated to be between $3.5 and $5.5 million. 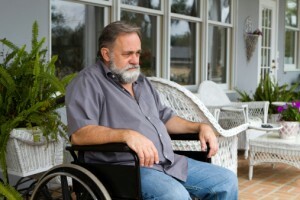 The vast majority of cases of quadriplegia are the result of some type of accident. Frequently, the accident that caused the quadriplegia was the result of someone else’s negligence. If you have been injured in a Texas accident that resulted in quadriplegia, you could be entitled to compensation. Kevin Krist has recovered millions of dollars in compensation for serious personal injury accident victims in Texas. If you think you or a loved one has a spinal cord injury claim, contact Kevin Krist today to talk about your case. Simply call 281-677-3960, or use the firm’s online form. Let Kevin Krist explain how he can put his personal, proven experience to work for you and your family.